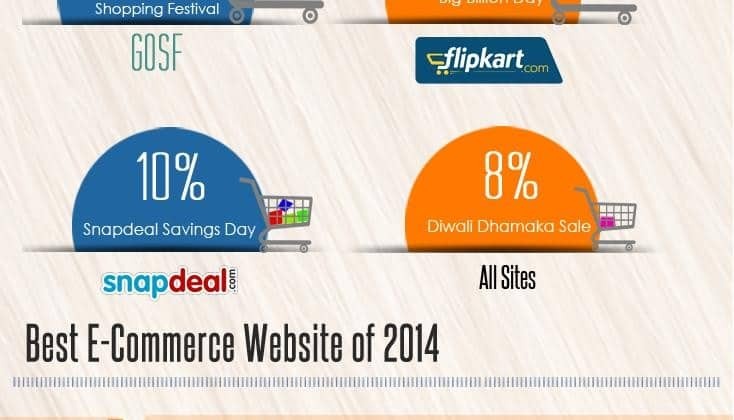 Cashback and coupons website ‘CashKaro.com’ has rolled out the 2nd edition of ‘People’s Choice Survey’ and the 2014 year results reveal the top online shopping festivals, factors that encouraged online shopping and the most preferred e-retailer across various product categories, among other insights. The survey which was conducted at a pan-India level saw a participation of more than 2,000 people. The respondents were from both metros and tier I, II and III cities with 65% males and primarily between the age group of 18-30 years. It is a very exciting time to be in Indian ecommerce right now and the industry is excited for an even bigger and better 2015. CashKaro.com alone has witnessed an overall growth of 1000% in traffic and 500% increase in revenues in the past 12 months. GOSF receives most votes for online shopping festival 2014: CashKaro.com 0 out of 5 based on 0 ratings. 0 user reviews.